Dimensions W 35-7/8" x D 26-7/8" x H 34-1/4"
(USA AND CANADA ONLY). 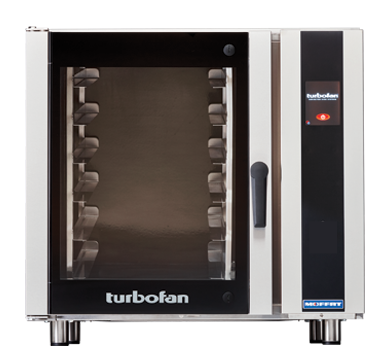 When accuracy is crucial Turbofan’s smart vent control technology gives you the option of manual oven vent control or automatic control to open and close vents at different stages of baking. 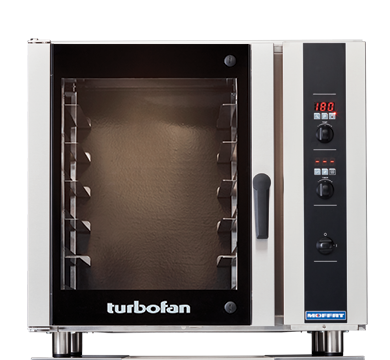 The auto vent feature removes heat and moisture from the oven cavity during the crucial last stages of baking cycles for the perfect crust on baked goods. Offering the durability and sleek looks Turbofan is renowned for, the E35 features a safe-touch vented door and pendulum handle. With large easy view displays, knob driven time and temperature controls to provide full electronic precision time and temperature accuracy. Faster heat recovery and accurate baking come from the two-speed bi-directional reversing fan and vitreous enameled oven liner. 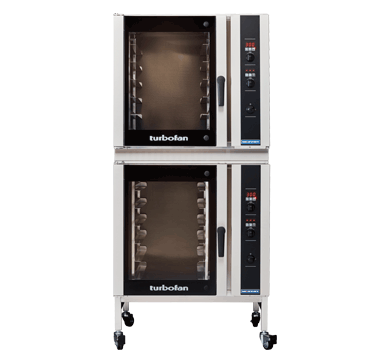 Can also be double stacked with a companion P Series proofer to form a baking system.